Shoppers may not notice shelves, but they notice brands, which is why leading grocers depend on B-O-F gravity shelving for dairy and beer, two of their most profitable departments. 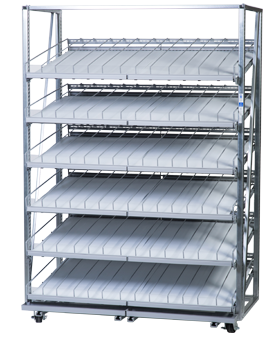 B-O-F shelving increases profits, pack-out, facings and energy savings while saving labor costs due to easy one touch loading from the rear. Don’t settle for traditional flat shelving when it’s crucial to have product in-stock, presented attractively and closer to the customer. Messy spills and spoiled product lead to unhappy customers. The Milk Moover® drastically reduces stocking time, hides those spills and makes clean up quick and easy. With the lineup of Craft Beers expanding, offering a variety of products is vital for Grocery stores. 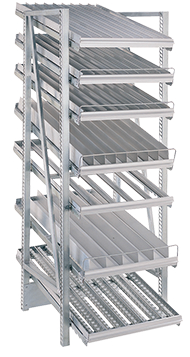 B-O-F gravity flow shelving systems increase pack-out up to 300%. Keeping ample quantities of cold beverages in your beer caves can be a challenge. B-O-F gravity flow shelving ensures your grocery stores are stocked at full capacity to meet all your consumer’s needs. Stocking all your consumers favorite wines can be a challenge. With B-O-F gravity flow shelving, you’re giving yourself the ability to maximize your product mix and watch your profits soar. 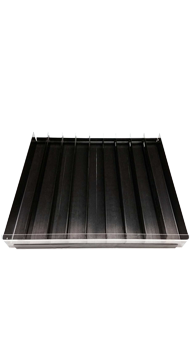 Gravity flow shelving can increase profits and reduce labor costs! Let’s discuss optimizing your grocery store shelving today.